Italy’s supreme court has ordered the Getty Museum in Los Angeles to return a 2,000-year-old bronze statue it bought for around $5.5 million in 1977. The ancient Greek statue is believed to have been made by Alexander the Great’s personal sculptor between 300 and 100 BC. The statue was discovered by fishermen off Pesaro, on Italy’s Adriatic coast, in 1964. It was sold several times, and eventually bought by the American museum over 40 years ago. Italy has always claimed the statue was smuggled out of the country and bought illegally, making its first formal request for its return from the museum in 1989. 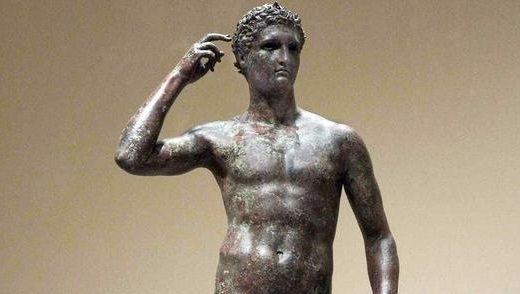 The ruling is the latest development in a decades-long clash between Italy and the American museum over the ownership of the statue, which is known as Victorious Youth, Athlete from Fano and the Getty Bronze. “We now hope that the US authorities will act as soon as possible to favour the restitution of the statue to Italy,” Italy’s culture minister, Alberto Bonisoli, told ANSA. Pesaro prosecutor Silvia Cecchi told Italian media that the supreme court ruling was “the final word from the Italian justice [system]” and that the Lysippos masterpiece “must be returned”. However, the legal battle looks far from over as the museum immediately vowed to defend its “legal right” to the statue. The fishermen who found the artefact sold it in Fano to Italian art dealer Giacomo Barbetti. Barbetti kept the statue in his father’s home before it was transferred to the Umbrian town of Gubbio in 1965, where it was eventually sold to an unidentified buyer from Milan. The statue then changed hands several times before being bought by the Getty from German art dealer Herman Heinz Herzer. The sum paid was nearly 800 times the $7,700 that Italian art dealers gave to the fishermen who found it.